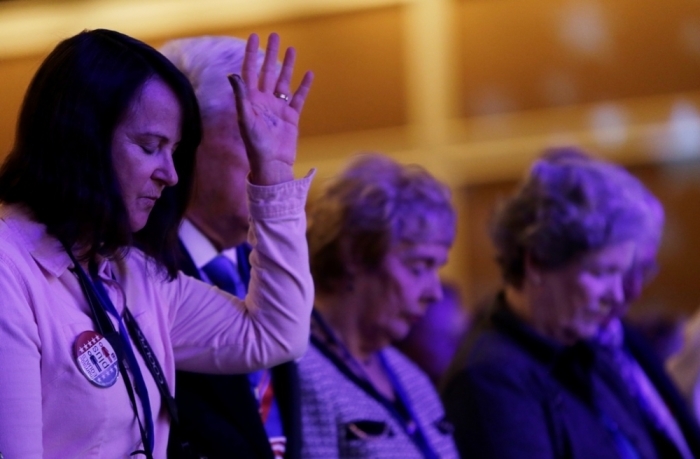 Attacks against religion in the Unites States are at all time high, according to a report released by the First Liberty Institute, a legal organization fighting for religious freedom in America. The First Liberty team identified 1,285 attacks on religion in the U.S. for 2015, which represents a double increase from the numbers reported in 2012, when it started documenting such attacks. Several different religious groups were targeted in America throughout the year, according to the report, including Christians, Jews, and people of Native American faith. "Hostility to religion in America is rising like floodwaters, as proven by the increased numbers of cases and attacks documented in this report. This flood is engulfing ordinary citizens who simply try to live normal lives according to their faith and conscience. It is eroding the bedrock on which stand vital American institutions such as government, education, the military, business, houses of worship, and charity," wrote Kelly Shackelford, who is the president, CEO, and Chief Counsel of First Liberty. "It has the potential to wash away the ground that supports our other rights, including freedom of speech, press, assembly, and government by consent of the people," he added. The report, which is 376 pages long, lists hostility toward religion growing in the public arena, such as public places, government, and the workplace; in the education field, from K-12 to higher academia; in churches and ministries; and in the military. The report also includes citations to a variety of court cases, news articles, and reports from other organizations which detail many incidents of attacks on religious freedom in the above-mentioned categories. The First Liberty team says that it is vital for Americans to become more aware of attacks on religious liberty and to learn their rights in order to "turn back the tides of secularism and hostility" that it says have been eroding religious freedom in the country. First Liberty warns that attacking religious freedom is dangerous to the entire idea of social progress. As some of the major consequences of religious freedom attacks, the law group notes that "good employees are being unlawfully fired," while businesses are being "recklessly harmed." It also warns that public servants are being driven from their fields, while ministries and churches are being threatened or restricted "from fulfilling their spiritual callings." "The religious liberty of Americans is under attack like never before," Shackelford added in a statement shared with The Christian Post on Monday. "These attacks are coming from all directions, against America's churches, in our school, in the military, and in the public arena." "The good news is, even though the number of attacks has risen, the Constitution hasn't changed," he continued. "Religious liberty is still our first, foundational freedom. And when Americans stand up for their rights, they can win."